My next book should be dropping on February 1st. This one will be the sequel to The Mad Mick. I had been planning a different book but response from readers pushed this book to the front of the line. 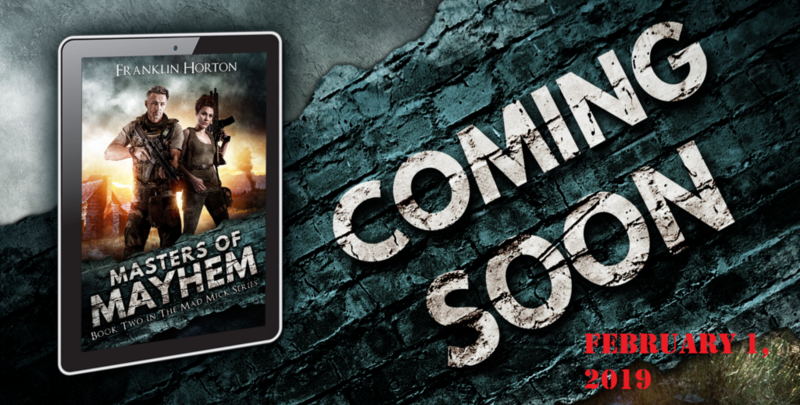 Look for Masters of Mayhem in paperback and ebook on February 1st with audio running a little behind that. To hear more about future books, scroll down below the cover image. Well, I’m already nearly 1/3 of the way through the next book in the Locker Nine series. Don’t have a title for that one yet but I’m hoping to release it in April. That should be followed by an installment of The Borrowed World coming in early summer. As a reminder, follow me on social media. I’m active on Facebook and Instagram. I also encourage you to sign up for my mailing list. That’s the one place where you will always get notified of the latest releases. The latest book, THE MAD MICK, is out in ebook and paperback. 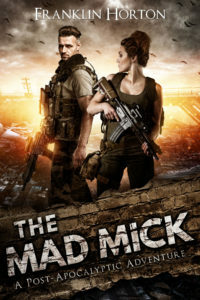 This is a new series and though The Mad Mick was mentioned in the second Locker Nine book, Grace Under Fire, you don’t have to read any other books to dig in and enjoy this one. Conor Maguire nearly lost his daughter Barb when she was three years old, injured by the drunk driver that killed his wife. When the justice system failed him, Conor — the son and grandson of IRA bombers — retaliated against the driver in dramatic and gruesome fashion. While an ironclad alibi prevented the police from pinning the murder on Conor, it did not prevent a covert agency within the US government from recruiting the talented young bomber and machinist. For over twenty-five years, Conor designed and built custom weapons of death and destruction at his compound in the mountains of Virginia. Then a series of devastating terror attacks brought down the United States. Conor and Barb assumed they were safe in their secure compound. They had food and a water source. They were armed and highly-trained. Then Barb was kidnapped. The kidnappers, needing slave labor for their farm, didn’t know why Conor was known as The Mad Mick. They didn’t know the fear and respect his name invoked in the shadowy world of covert operations. They didn’t know that when it came to protecting his family, he was without conscience, without compassion, and without equal. Just a quick update. I know the website has been sorely neglected but summer is here. It’s time for travel, goofing off with the kids, taking care of the farm, and then there’s the day job. Switched On has been out for about a month now so I hope you’ve read it AND reviewed it. Those reviews really help. If you’re wondering what’s next, I’m hoping to finish my next book in August and release it in September. It’s called THE MAD MICK and is based on an adventure of the Conor character in Grace Under Fire. He was the affable Irishman on a bicycle who helped Grace and her family out. He’s got a cool story to tell and you can read it about it soon. Stick with me. I’m writing as fast as I can. I have another 5 or 6 books already planned out so there’s a lot more on the horizon. Thanks for your support. 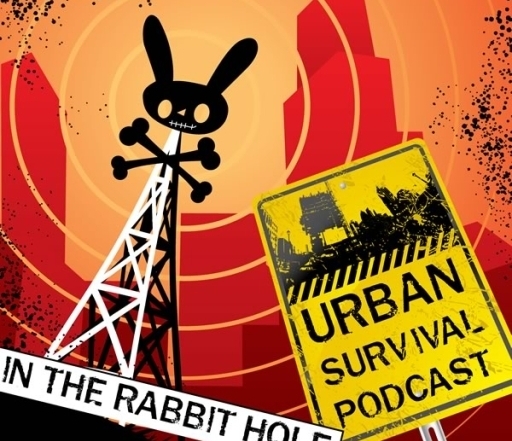 I’m kind of behind on posting updates to the podcasts I’ve appeared on. 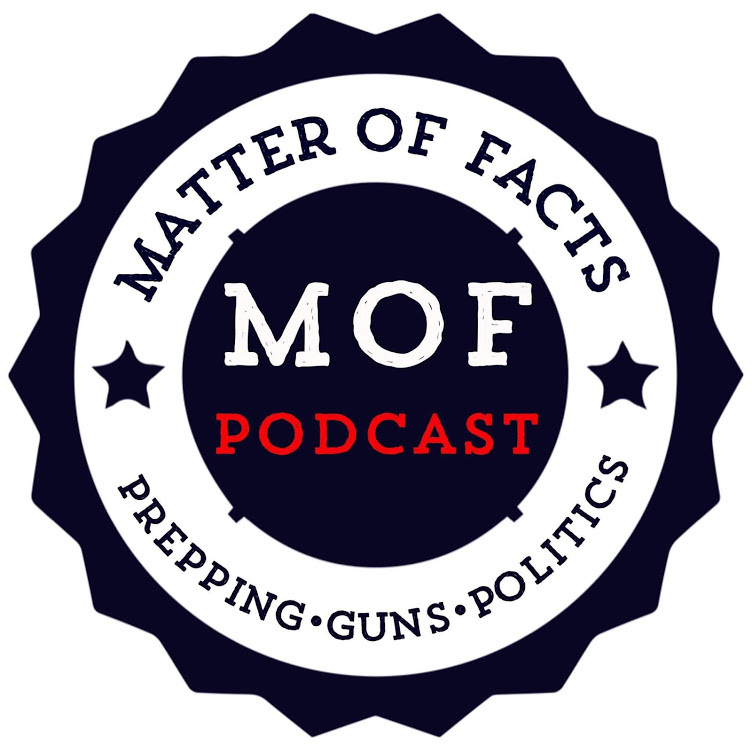 I was on the Matter of Facts podcast twice. The first time I was referred to them by a reader so the guys interviewed me but had not read the books yet. After the interview, they read the books and apparently loved them. So they had me back on for a second interview to ask questions about the books while they were fresh in their minds. It’s some good discussion. 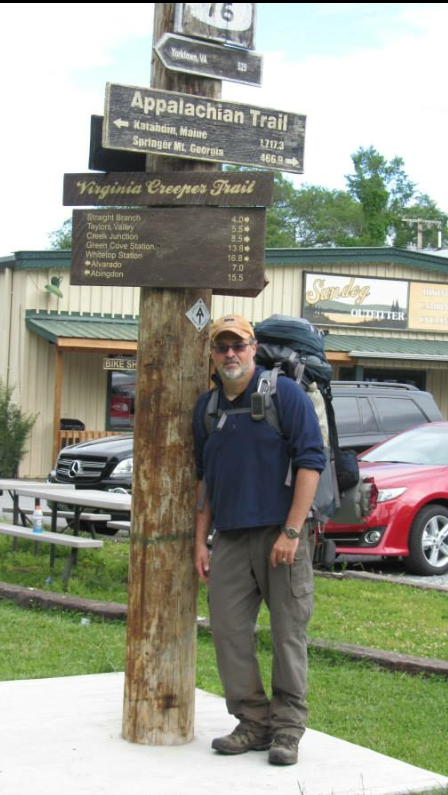 Had the opportunity in August to talk with Dale and Lisa Goodwin for a second interview. 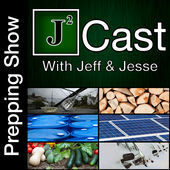 Their Survivalist Prepper Podcast is good stuff. In early March 2017, I drove to Louisiana to attend a preparedness expo with a group of friends and fellow authors. The show was a dud but I had a fantastic time hanging out with these guys all day then getting together for food and drinks each night. 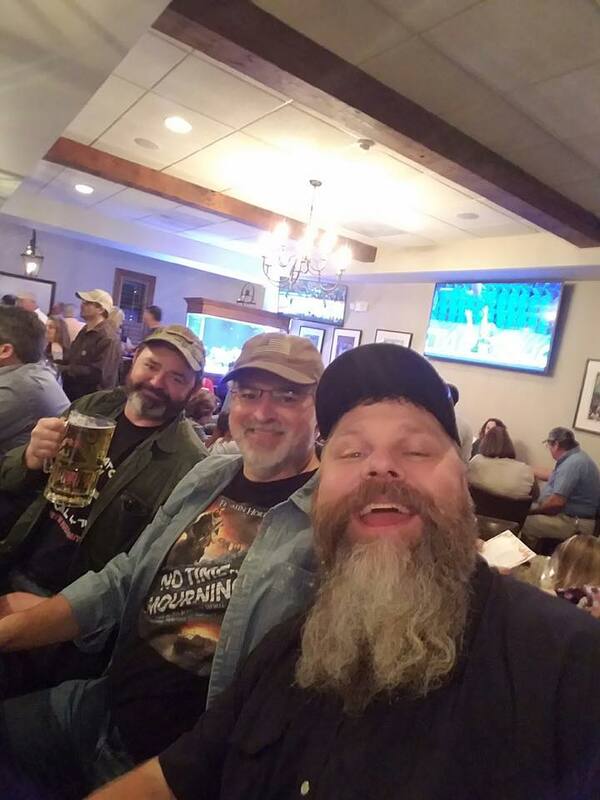 In the picture below, that’s me on the left, author Steve Bird to my right, Chris Weatherman (A. American) to his right, and then Johnny Jacks on the far right. Several folks confused Steve and I for brothers. 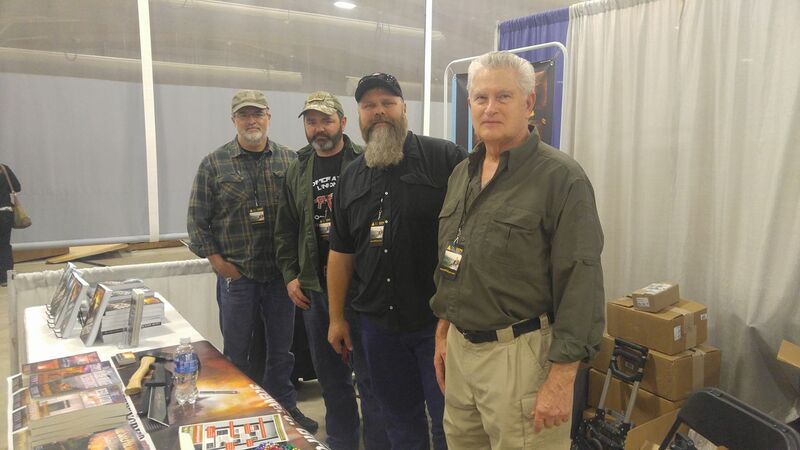 Just because we’re bearded, gun-loving hillbilly authors doesn’t make us brothers. Or maybe it does. A few weeks back I had the opportunity to do a podcast with Preston Leigh of The Leighgendarium. Preston and I had met in person at a local author event and he’s a huge supporter of the indie author community. Most of the interviews I do are on preparedness but this one focused entirely on writing. 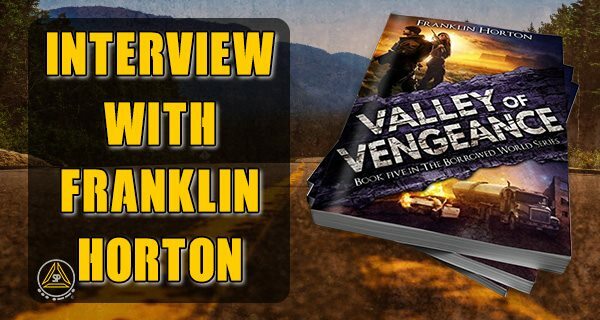 If you interested in the “art” behind the books, Preston’s interview is a good place to start. While you’re there check out his other interviews. I had a conversation this week at work that I wanted to share with my readers. It may not be news to you as it is not a new story, but the proliferation of this technology makes it more concerning than ever. Be aware of the risks. My friend was shocked because he does use Siri on his phone but he wasn’t aware that Siri monitors all conversation within earshot as part of waiting for and anticipating commands. This is not a feature limited to iPhone. The voice-control technology in Google’s phones and Samsung’s smart TVs also use this same type of input monitoring of voice data. The problem is that this technology doesn’t make any distinction between a potential command and a private conversation. I just saw on the news that Amazon’s ECHO device is sold out. I haven’t read yet how that data is stored. In the meantime, though, I think it’s wise to consider that any voice-activated technology with data connectivity is constantly listening and broadcasting your conversations (voice data) to someone. Imagine your phone, your smart TV, or your Alexa as a internet-connected microphone and think carefully of the things you might say in front of them. Some corporations are concerned enough about this that they are requiring employees to turn off voice-command technology on their phones. Imagine a foreign government creating a fake company involved in app development simply for the purpose of having access to the voice data on a particular individual. Imagine that this individual works in the defense industry or in a corporation with technologies that they wish to keep out of foreign hands. While there are always risks that classified data will be accessed other way, the use of voice-activated technology is a doorway that many are willfully allowing to remain open. I’m no outlaw (yet), but I prefer my private conversations to remain that way. I know that government security agencies can activate and use these devices for electronic eavesdropping. That is beyond my control. Allowing voice-activated technology to be used in my home is not. For my family, in my home, I ask that it be turned off. In November I had the opportunity to do a long podcast with these guys. They were a lot of fun. It was a video podcast but I’m only posting the audio. It was a pretty interactive podcast and we talked for a good long time. There’s plenty of info here for anyone interested in learning about the books, my writing, and background info on the books.